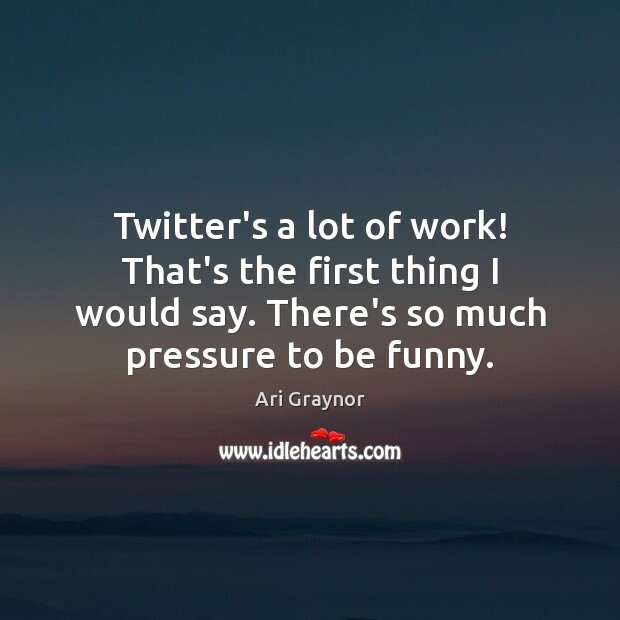 Enjoy the best inspirational, motivational, positive, funny and famous quotes by Ari Graynor. Use words and picture quotations to push forward and inspire you keep going in life! I did babysit a little bit when I was young. I prefer babysitting for babies. I always loved babies. 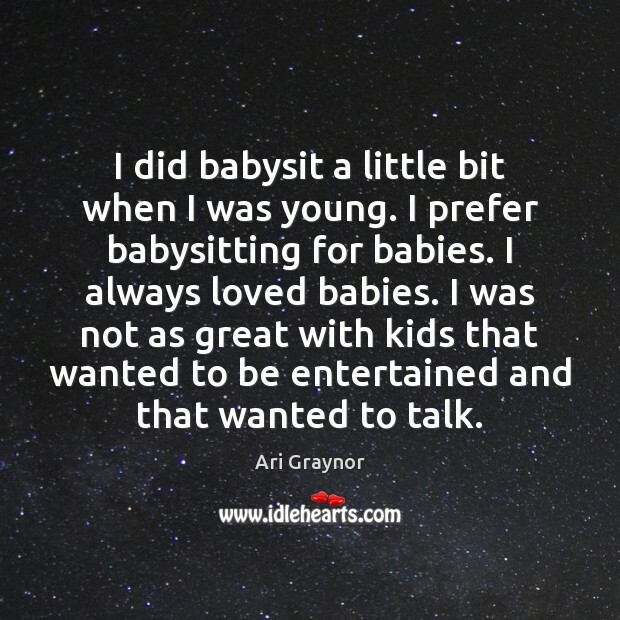 I was not as great with kids that wanted to be entertained and that wanted to talk. Working with David Gordon Green, and Jonah Hill, and Michael Cera, and Drew Barrymore, and all of those people - those are the best people in comedy to work with. Anna Faris. You know, that's my goal, to keep learning and to just keep working with the best people I can. And yeah, we do all hang out, and we all kind of know each other. 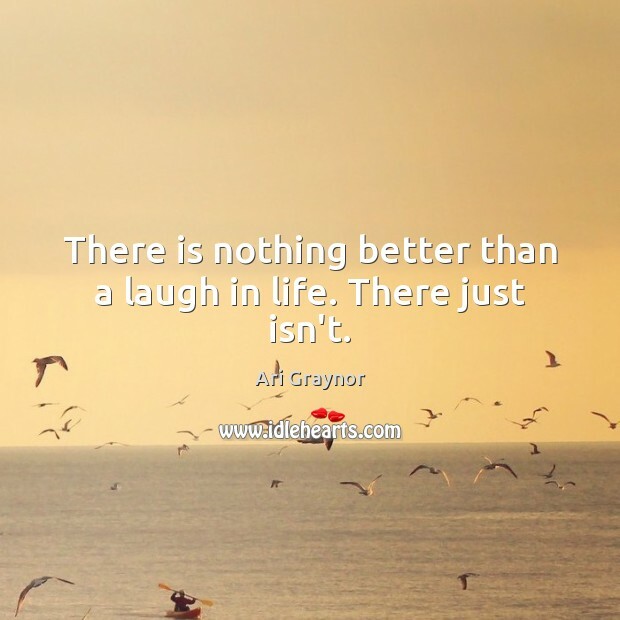 There is nothing better than a laugh in life. There just isn't. 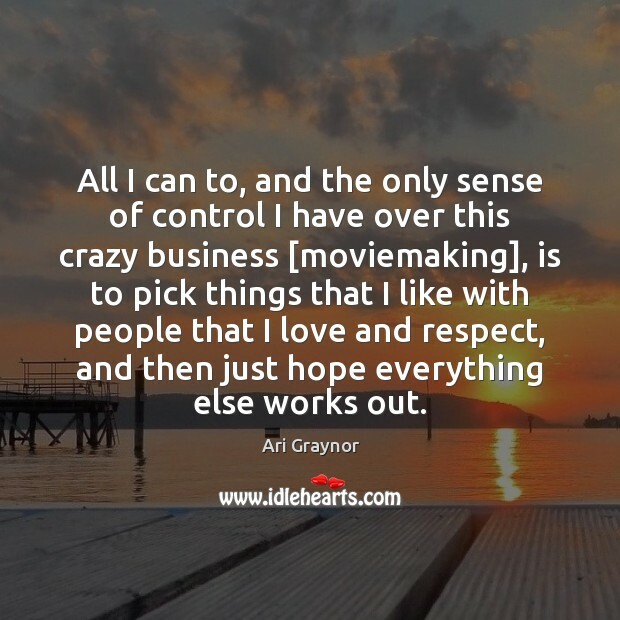 All I can to, and the only sense of control I have over this crazy business [moviemaking], is to pick things that I like with people that I love and respect, and then just hope everything else works out. 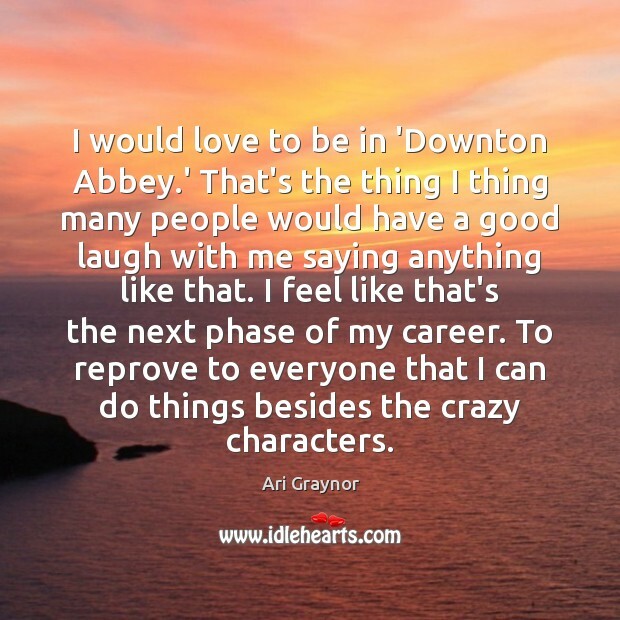 I would love to be in 'Downton Abbey.' That's the thing I thing many people would have a good laugh with me saying anything like that. I feel like that's the next phase of my career. To reprove to everyone that I can do things besides the crazy characters. 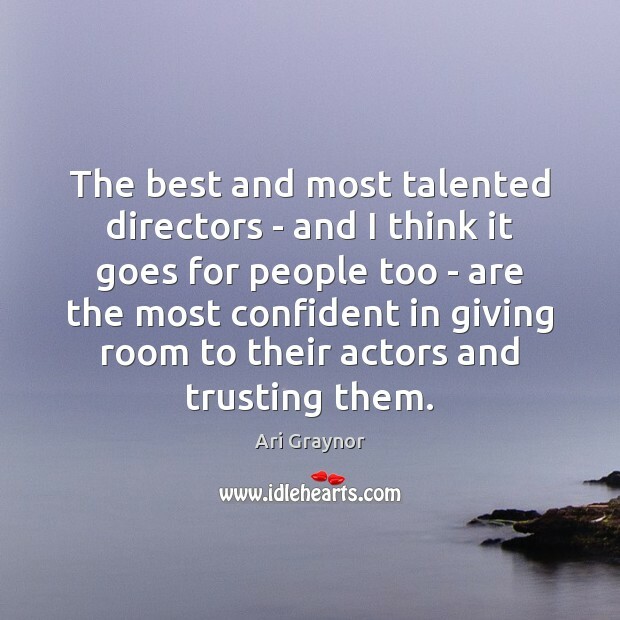 The best and most talented directors - and I think it goes for people too - are the most confident in giving room to their actors and trusting them. 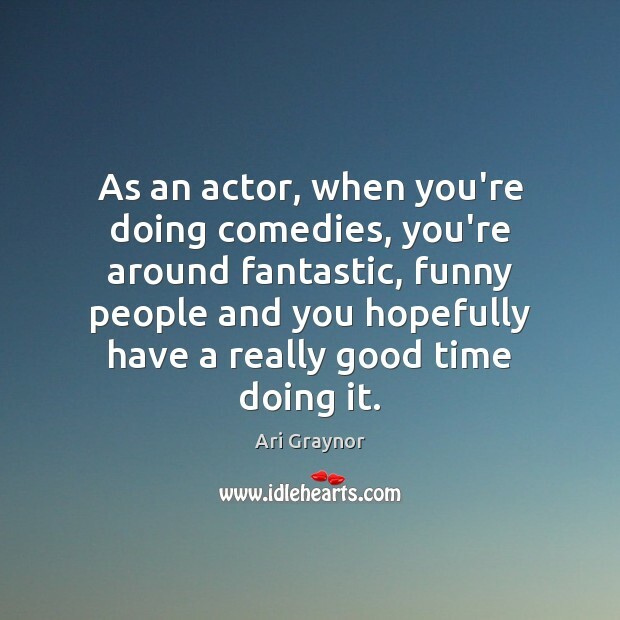 As an actor, when you're doing comedies, you're around fantastic, funny people and you hopefully have a really good time doing it. 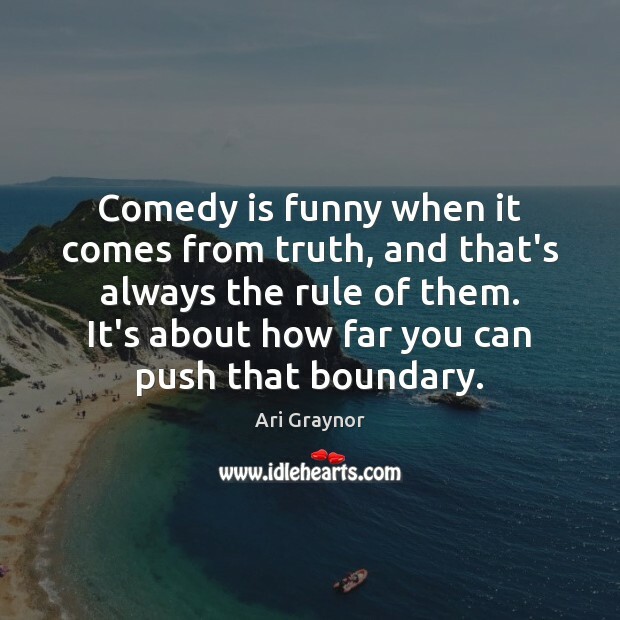 Comedy is funny when it comes from truth, and that's always the rule of them. It's about how far you can push that boundary. 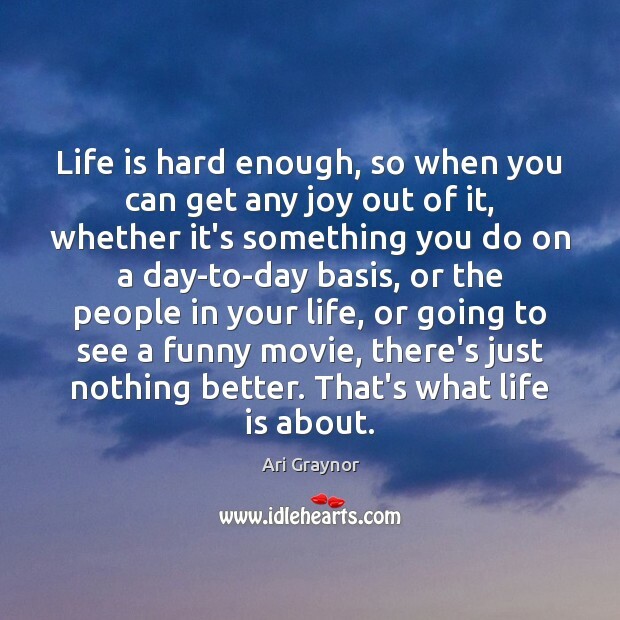 Life is hard enough, so when you can get any joy out of it, whether it's something you do on a day-to-day basis, or the people in your life, or going to see a funny movie, there's just nothing better. That's what life is about. 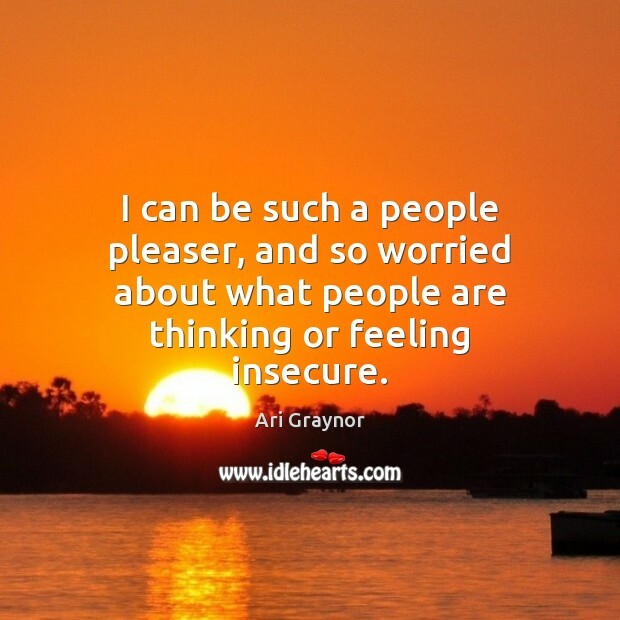 I can be such a people pleaser, and so worried about what people are thinking or feeling insecure. 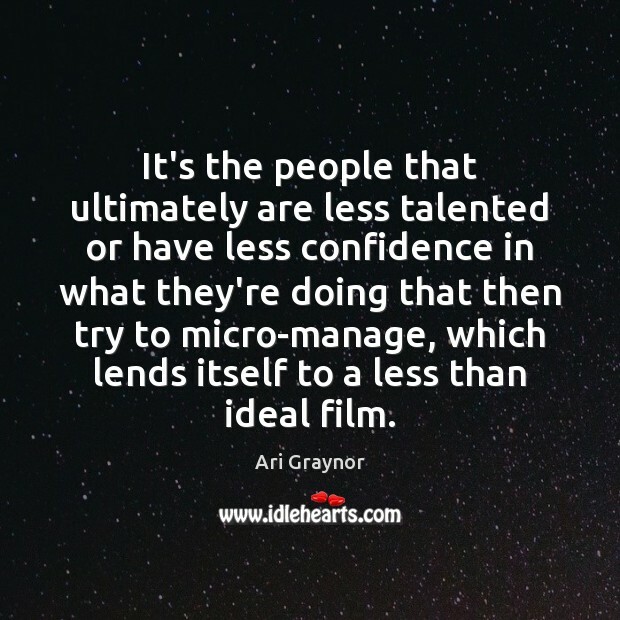 It's the people that ultimately are less talented or have less confidence in what they're doing that then try to micro-manage, which lends itself to a less than ideal film. The only thing that I'm not willing to do is really stupid, horribly written sitcoms. 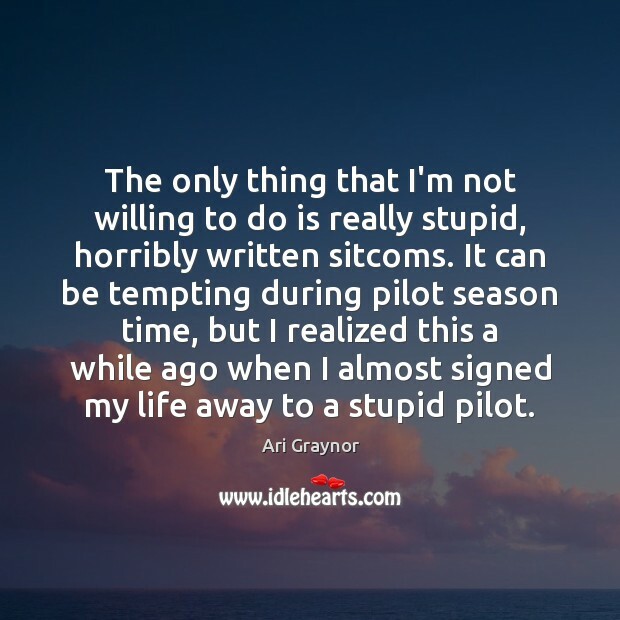 It can be tempting during pilot season time, but I realized this a while ago when I almost signed my life away to a stupid pilot. 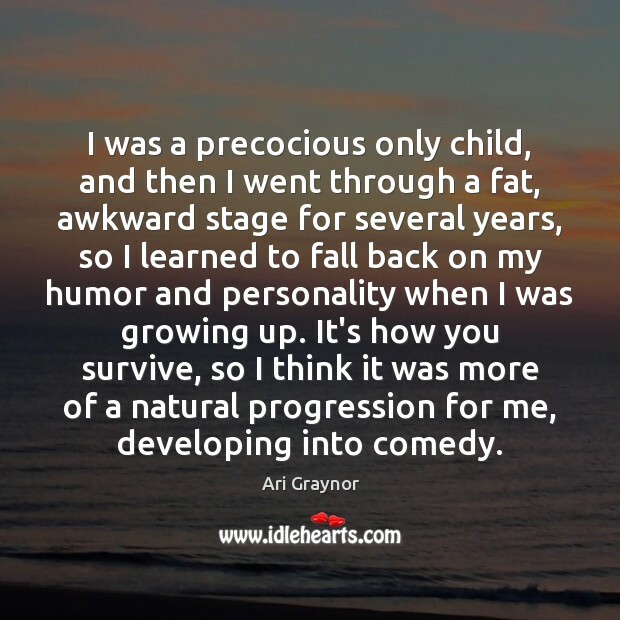 I was a precocious only child, and then I went through a fat, awkward stage for several years, so I learned to fall back on my humor and personality when I was growing up. It's how you survive, so I think it was more of a natural progression for me, developing into comedy. 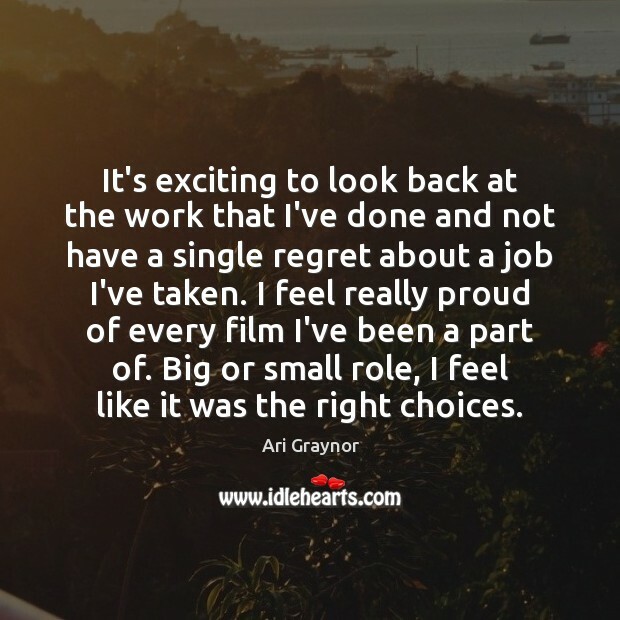 It's exciting to look back at the work that I've done and not have a single regret about a job I've taken. I feel really proud of every film I've been a part of. Big or small role, I feel like it was the right choices. 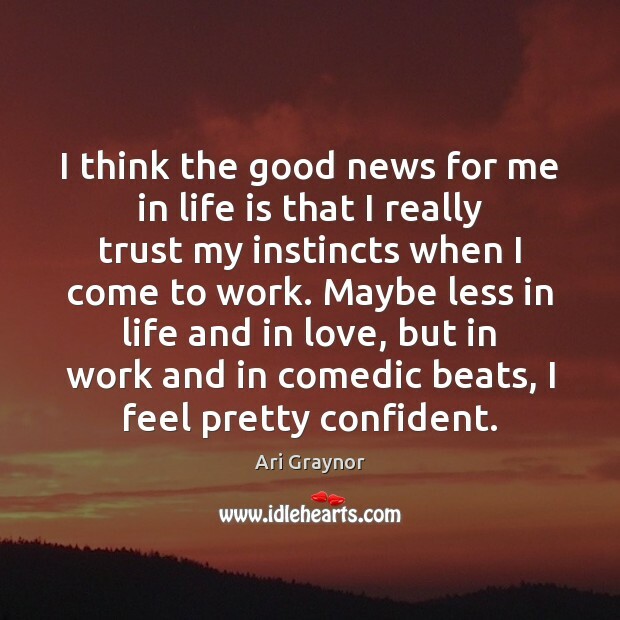 I think the good news for me in life is that I really trust my instincts when I come to work. Maybe less in life and in love, but in work and in comedic beats, I feel pretty confident. 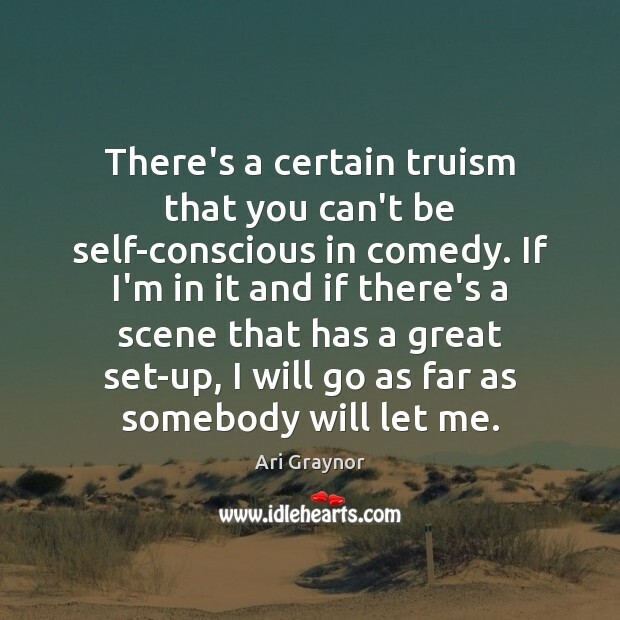 There's a certain truism that you can't be self-conscious in comedy. If I'm in it and if there's a scene that has a great set-up, I will go as far as somebody will let me.